1. The Growth Factor, Vol No. 3 / 03 - Mita (P) No 214 / 04 / 2002 ; A Publication of Roche Vitamins Asia Pacific Pte Ltd.
5. 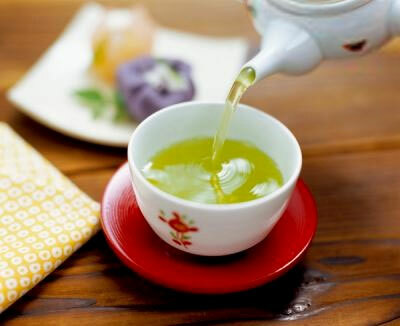 Efficacy of a green tea extract rich in catechin polyphenols and caffeine in increasing 24-h energy expenditure and fat oxidation in humans, University of Geneva., Am J Clin Nutr. 1999 Dec;70(6):1040-5. 6. Green tea and thermogenesis: interactions between catechin-polyphenols, caffeine and sympathetic activity, University of Fribourg, Switzerland, Int J Obes Relat Metab Disord. 2000 Feb;24(2):252-8. 8. Effect of tea catechins on postprandial plasma lipid responses in human subjects. Br J Nutr. 2005 Apr;93(4):543-7. 19. Antioxidant effects of tea: evidence from human clinical trials. J Nutr 2003 Oct;133(10):3285S-3292S . 20. Molecular targets for green tea in prostate cancer prevention. J Nutr 2003 Jul;133(7 Suppl):2417S-2424S. 25. Catechins and the treatment of breast cancer: possible utility and mechanistic targets. IDrugs. 2003 Nov;6(11):1073-8. 26. Phase I study of green tea extract in patients with advanced lung cancer. Cancer Chemother Pharmacol. 2005 Jan;55(1):33-8. Epub 2004 Aug 7.